^ Luo, Chris (23 September 2014). "One-third of Chinese do not speak Putonghua, says Education Ministry". South China Morning Post. Hong Kong. Retrieved 18 September 2017. ^ 中国仍有约4亿人不能用普通话进行交流-新华网. Xinhua News. Retrieved 26 July 2017. ^ Bai Wansong (白宛松). 教育部、国家语委：力争“十三五”期间使所有教师的普通话水平达标_滚动新闻_中国政府网. www.gov.cn. Retrieved 26 July 2017. ^ "Greater numbers speak Mandarin". China Daily. 26 December 2004. ^ Blum, Susan D. (2002). "Ethnic and Linguistic Diversity in Kunming". In Blum, Susan Debra; Jensen, Lionel M (eds.). China Off Center: Mapping the Margins of the Middle Kingdom. University of Hawaii Press. pp. 160–161. ISBN 978-0-8248-2577-5. 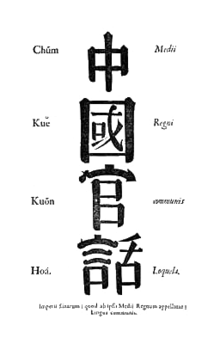 Bradley, David (1992), "Chinese as a pluricentric language", in Clyne, Michael G. (ed. ), Pluricentric Languages: Differing Norms in Different Nations, Walter de Gruyter, pp. 305–324, ISBN 978-3-11-012855-0. ——— (2013), "The Classification of Sinitic Languages: What Is "Chinese"?" (PDF), in Cao, Guangshun; Djamouri, Redouane; Chappell, Hilary; Wiebusch, Thekla (eds. ), Breaking Down the Barriers: Interdisciplinary Studies in Chinese Linguistics and Beyond, Beijing: Institute of Linguistics, Academia Sinica, pp. 735–754.